This Amelia Queen Bed is a classy and modern bed for a cosy bedroom. This bed is made with the wood of Acacia which is one of the most commonly used woods to make furniture. Acacia wood is also extremely sturdy and long lasting. The melamine finishing of the bed makes it look stylish and contemporary. The dark espresso colour ensures that it blends in with all types of décor that you might have in your home. This colour only adds to the chic look of the bed. The low height of the bed is on trend and perfect for any size of the room. The queen size of the bed is not too big and not too small but is just enough for two people to sleep comfortably. It will not leave your room looking cluttered and will make your bedroom look modern and inviting. 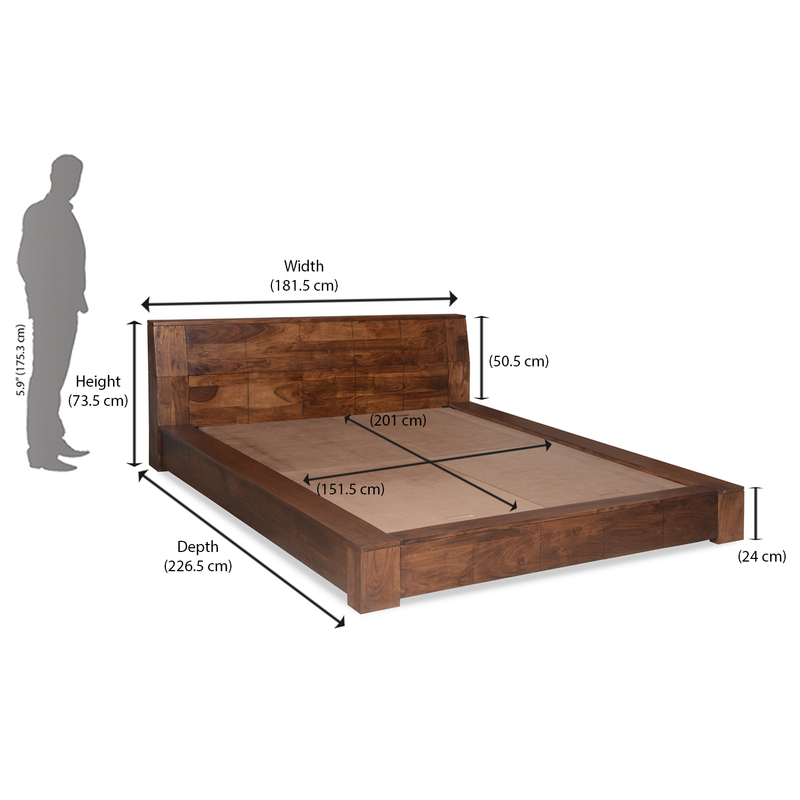 The Low platform of the bed is an elegant design that is extremely contemporary and perfect for a 21st century home. The acacia wood ensures that the bed is long lasting and will give you full worth of the money you pay for this Amelia Queen Bed.